July 11, 2018, 11:01 p.m.
With Air Force One scheduled to land on British soil this afternoon, a new YouGov/ ITV Tonight poll shows broad support for the “working visit” from the US President. 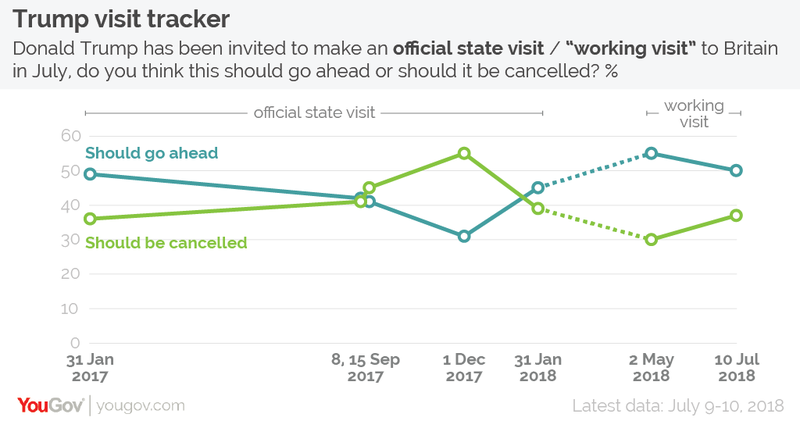 In total, half of Britons (50%) think the visit should go ahead, compared to just over a third (37%) who think it should be cancelled. The remaining 13% say they don’t know. Whilst support in this latest poll is down slightly (from 55% to 50%) from when we previously asked about a working visit at the start of May, it is still noticeably higher than in previous YouGov polls that asked about a state rather than a working visit. 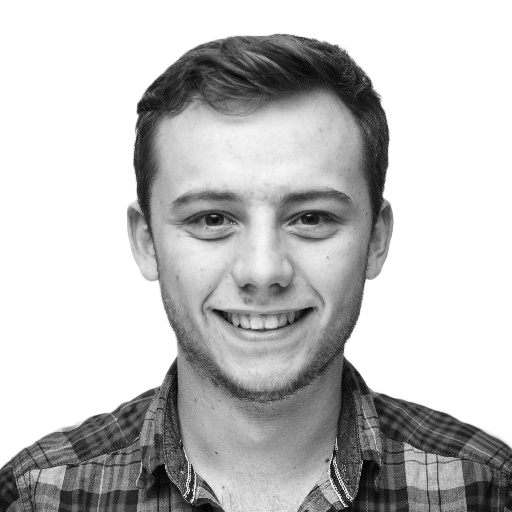 There is still one aspect of the trip that the public oppose – meeting the Queen. 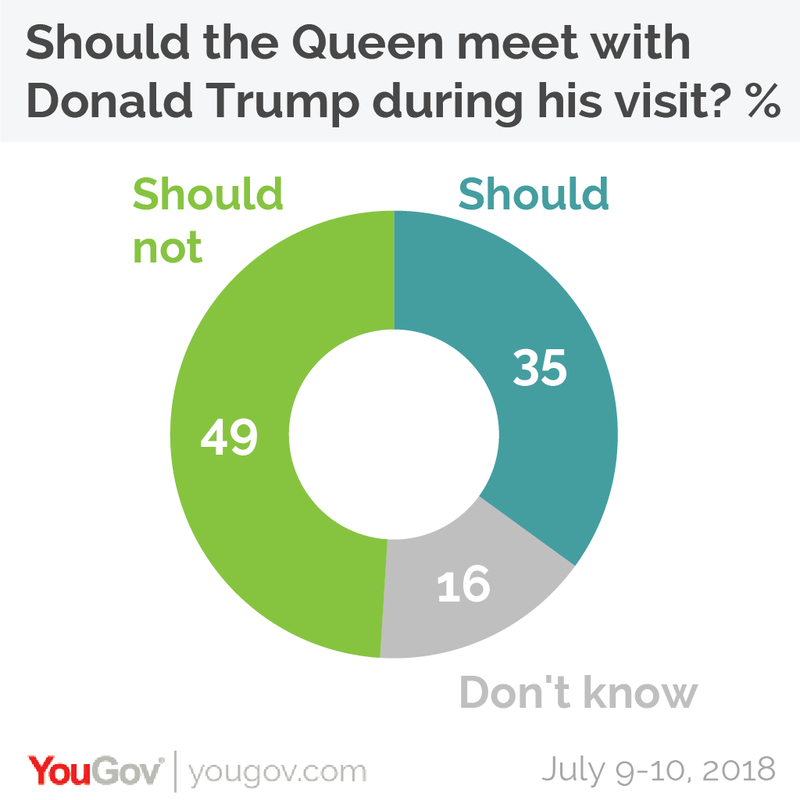 The current schedule includes the President and First Lady visiting Windsor Castle on Friday to meet the Queen, but just one in three (35%) think the Queen should meet Donald Trump as opposed to half (49%) who think she should not. Despite broadly supporting the visit, the British public hold the President in low regard. Only around one in six (17%) have a favourable view of Trump, compared to three quarters (77%) having with an unfavourable view – giving him a net favourability score of -60. This score is much closer to that of Russian President Vladimir Putin (-72) than to the leaders of Britain’s allies like German Chancellor Angela Merkel (+2), French President Emmanuel Macron (-2), or Canadian Prime Minister Justin Trudeau (+40). Two thirds of Britons think Donald Trump has either been a “terrible” (44%) or “bad” president. Just 16% think he has been “average” and even fewer people rate him as either “good” or “great” (13%). The public are also concerned that President’s poor performance isn’t just bad for Americans, but for everyone else as well. While 47% think the Trump’s presidency is bad for the USA, as many as 61% also think it has been bad for the rest of the world, and 64% think his tenure so far has been bad for in international relations. In addition, the public aren’t particularly fond of the President’s personal character. Three quarters of the public (74%) think he is a sexist, with the vast majority (63%) also thinking he is a racist. Meanwhile just 16% think he is honest, just 38% think he is a strong leader, and only 25% think he is charismatic. So, given their negative view of the President, why are Britons supportive of the visit? Taken as a whole, Brits’ views toward Donald Trump can broadly be described as negative but pragmatic. Whilst he wouldn’t be Britain’s choice of US President (only 16% would have voted for him given the chance) a plurality think that the government should try to work with him (44%, vs 39% who think they shouldn’t). And the vast majority of those who think the government should be working with Donald Trump support the UK visit, regardless of their own views towards him.